Golf Gift Basket- This unique golf gift basket is filled with lots of goodies to feed all cravings on the fairway!! It includes keylime cookies, caramel golf theme candy popcorn, buttery pretzel twists, dry fruit and nut mix, World's Greatest Golfer theme gourmet coffee, assorted fruit candy bon bons, mini Italian cookies, savoury crackers and a package of 50 wooden golf tees. 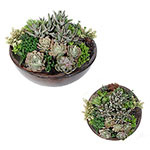 A great gift for fun on and off the green! 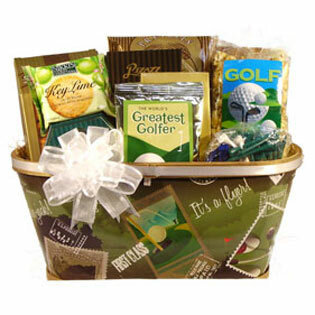 Golf gift baskets are great for door prizes, birthday gifts or just to say thank you to a friend who loves to golf!